So let's put t-shirt retailing in perspective. First, there is a lot of demand. The humble t-shirt is a staple of casual wear the world over. It's as likely to be seen in New York and it is in Bangkok or Nairobi. As an industry, t-shirts will represent more than $1 trillion in global annual sales this year, and could grow to more than $3 trillion in annual sales in the next few years. With that much opportunity, it is little wonder many entrepreneurs are interested in starting a t-shirt business online. Success, however, is far from guaranteed. Setting up an online t-shirt business may be fast and easy, but it is also very competitive. You and about 5,000 entrepreneurs just like you can get an online t-shirt store up and running in a single day for less than $500 (maybe even less than $100). That is a very low bar to entry. So how do you compete and succeed? 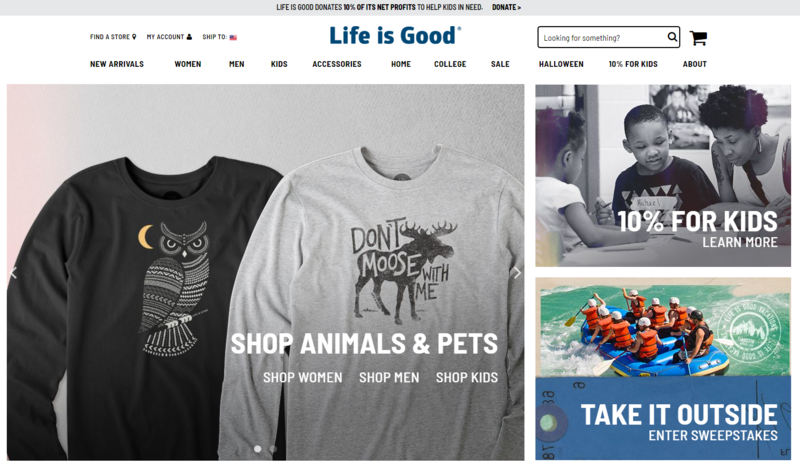 Several ecommerce experts, including — for example — Richard Lazazzera of the A Better Lemonade Stand blog, have suggested there are "three pillars" of online t-shirt retailing. Specifically, these are niche, design, and quality. The idea is that in order to differentiate your online t-shirt business, you need a specific theme or niche. Next, your designs have to be artful, unique, and directly connected to your niche. Finally, the t-shirt your design is printed on must be durable and comfortable, and the design must be able to survive wear and washing. This first pillar, niche, is really about attracting shoppers to your t-shirt business. If you enter the online t-shirt business generically, you'll have to compete head-to-head with Amazon, Target, Threadless, Design by Humans, Johnny Cupcakes, and about a thousand other relatively large, successful, and well-funded competitors. If, however, you focus on a niche you can be a leader in the space. Instead of selling t-shirts generally, sell t-shirts designed for kayak fishermen, chess enthusiasts, or maybe vegan bodybuilders. "In the late 1980s, Bert and John Jacob were driving up and down the east coast trying to sell their t-shirts to college students and not having much success," wrote Leslie Truex in a January 2018 article for The Balance Small Business. "During one of their long drives, in between deciding if they should get real jobs, they had a discussion about the media’s focus on negative stories. From this discussion, Jake, the character donning Life Is Good t-shirts, was born, along with a $100 million dollar business." Similarly, when Daymond John founded his apparel company, FUBU, in 1992, he wasn't trying to make hats and clothing for everyone, rather he targeted the then burgeoning hip-hop culture. Your t-shirt design niche will help you identify very specific target customers and give you very specific opportunities to market to them. Your niche-focused business and marketing should help your company reach potential customers, but it is your t-shirt designs — the second pillar of success — that will lead to sales. Your company's aim, to paraphrase Johnny Cupcakes graphic designer, Christopher Delorenzo, should be to create t-shirt designs that make people say, "damn that's a cool t-shirt." Do that and the sales will come. The third pillar is quality, and it is all about making repeat sales. Several years ago, Adobe released a study called "The ROI of Marketing to Existing Online Customers." While this study is now old enough that you probably don't want to treat its findings like gospel, it did show that a returning customer, someone who comes back to your store a second time, would typically spend about three times as much as a first time buyer. A loyal repeat customer, who has made three or more purchases from your business is likely to spend five times as much as a brand new customer on each order. To put this in the context of an online t-shirt business, think about a first time shopper. This shopper might be attracted to one of your t-shirt designs, so she places an order for one shirt. When it arrives, the printing is bright and detailed, the shirt is soft and comfortable, and it comes through the wash in great shape. Product quality has made your shirt one of her favorites. The next time she visits your online store, she buys three shirts instead of one. She knows your company delivers quality products and she trusts you. If you can find a niche, develop "damn" good designs, and print them on quality t-shirt blanks, you have gone a long way toward success. Now it's time for action. You understand what it takes to be successful, so do something about it. Find your t-shirt company's niche, its place in the market. Often it can make a lot of sense to choose a niche you are already familiar with or even passionate about. Make a list of your interests. Try to identify at least ten different possible niches for your online t-shirt store. Consider what you do with your spare time, which apps you use, which magazines you read, and what your hobbies are. Identify themes. Using your list of interests try to find possible t-shirt themes. If you're into vegan bodybuilding, for example, what themes, phrases, or ideas are important to you? The aim is to fill a need or match a worldview. Find competitors. Is there already a business selling t-shirts for your target niche and are they doing a good job? Now for some damn good t-shirt designs. If you have graphic design chops, get to it, if not you're going to want to hire a designer. There are a few ways you can find a t-shirt designer. For example, on 99designs you can review portfolios. If you find a style that matches your niche, expect to pay between $149 and $399 for a typical t-shirt design. Or, if you prefer, you can hold a t-shirt design contest. Similarly, look around on Dribble or Behance. Identify potential designers and ask them what they would charge you to create designs for your new company. Once you have a few t-shirt designs, you have a to make several choices around how your designs will be printed, marketed and sold. These decisions are intertwined, so while this article will take them one-by-one, each choice you make impacts another. Do you want to print your own t-shirts, warehouse them, and ship them when someone places an order? Or do you want a third party to do this for you? If you choose a third-party like a print-on-demand drop shipper, you will be able to focus on marketing or design and you will have very few upfront expenses. If you want to print your own products, you can control every aspect of quality and printing, but you will need a much more substantial investment. Next, select your shirt blanks. Shirt blanks are the canvas for your design and a significant factor in perceived quality and value. It is the shirt blank that feels soft and comfortable. Read T-shirt Magazine's February 2018 guide to t-shirt blanks to help you decide which ones you want to uses. You may even want to order several blanks and try them for yourself. Next, you should at least be informed about the three dominate printing technologies used in the t-shirt industry. Screen printing can produce some of the most vivid colors and, in many cases, the most durable prints. However, each color in the design requires a separate, perfectly-aligned screen. Thus, silk screening takes a relatively long time to set up and can be expensive if you print just a few shirts at a time. However, if you plan is to print and inventory your shirts, screen printing is a good option. Direct to garment (DTG) printing also produces great colors and will hold up well. DTG machines are like printers, adding color pixel-by-pixel to the t-shirt. The DTG method works very well for printing individual shirts or very small batches. For this reason, it is the most popular method for print-on-demand, drop shipping services like Printful. If you don't want to keep inventory and you don't mind someone else printing for you, DTG is a good choice. Heat press plastisol transfer is, perhaps, the lowest cost and lowest quality method you could choose. With a plastisol transfer, your business would have designs printed on special transfer paper and then use a heat press to "print" the design on the shirt. You might choose this option if you plan to print your own shirts one-by-one as orders come in. There are at least four online t-shirt sales channels your business could consider. Let's start with the idea of selling on what we'll call online t-shirt or art marketplaces. 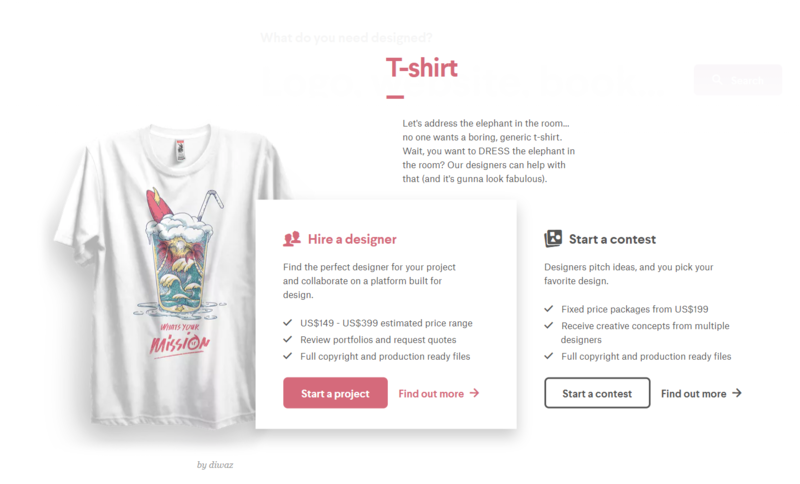 If you design your own shirts, you may be able to operate a successful t-shirt business selling on sites like Design by Humans, Threadless, or Zazzle. These sites and others, will allow you to upload a t-shirt design. You market your design, and they manage the sale and fulfillment. While the arrangement varies, in some form or another, you split the profit from the sale with the marketplace. T-shirt marketplaces are different from other online retail marketplaces because they manage printing and fulfillment. If you're willing to take care of these (or at least take care of outsourcing these), you could also sell on regular retail marketplaces like Amazon, Etsy, or Ebay. These marketplaces expose your designs to a large customer base. Social media sites also allow you to market and sell t-shirts online. Facebook, for example, has a marketplace similar to Ebay or, perhaps, Craigslist. Finally, you can also sell t-shirts from your own online store, using an ecommerce platform. When you have your own online t-shirt store, you have options. Your own online store works whether you print and inventory your own shirts or use a print-on-demand, drop shipper. Your store can be connected Amazon, Etsy, or Ebay and serve as an inventory, customer service, and marketing hub for your whole business. Your own online store also gives you a way to cultivate customer relationships. Now that you know what channels are available, choose one or all of them since none of these channels are mutually exclusive. For example, you could quickly build an online t-shirt shop to get your designs up and available. Then you could connect it to popular marketplaces and social media. You will, of course, also need to market your new t-shirt business. This is going to take time, perseverance, and a bit of money too. Richard Lazazzera, who was mentioned above, once started an online t-shirt company based on Toronto subway signs. Lazazzera had read an article about a particular line in the Toronto subway system turning 60 years old. He created a few designs, and emailed the guy who had written about the subway line. That writer, Chris Bateman, then posted an article about Lazazzera's new shop. Within 24 hours, Lazazzera had earned a small profit of about $350. This worked because Lazazzera used his niche. He had focused his business on the Toronto subway and then contacted someone else who was interested in it too. So here is the point. You are going to earn business in a few ways. You might do some growth hacking, which is one possible term for what Lazazzera did, you might focus on SEO, or you might even purchase ads. The key takeaway is that your business is not done until you start getting sales.